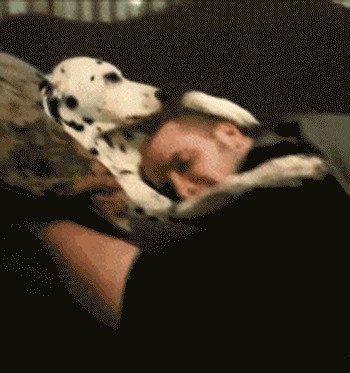 Dogs can even turn your gloomy days into better! If you are a dog-lover, here are those 9 adorable things which you will instantly agree with. Dogs, our furry friends, bring joy and happiness to our lives and make us love it more a little more. From being your morning alarm (without a snooze button) to giving you a warm welcome when you return home, they know how to make you feel special. Being a dog-lover myself, I feel that you will definitely relate to these 9 ways through which dogs add liveliness and fun to life. Dogs are full of energy and enthusiasm. For them, it is always a YES for play-time. Remember that look when you gave him that chewing bone for the first time? Your cutesy is just keen and excited about all things in this world. They sense your sorrows and are almost the first one to comfort you. A priceless therapy indeed! Their happiness knows no boundaries when they see you after an hour or so. And when you’re meeting them after a long time, they show love and warmth by licking and jumping over you. In the presence of this furry pet, you won’t feel like setting your alarm. He’ll wake up in a cuddly manner. Again those cuddles, licks, hugs! Life with dogs is incredibly amazing! You act more active when they are around. People may come and go, but dogs are always there for you, in good and bad moments! Forget about Netflix when you have a dog. He keeps you engaged and entertained with his cute little acts. When we are drained from inside, we usually tend to relax. But dogs ask us to be compassionate and loving even at the lowest. If you are a dog-lover, then I hope you would have related to every single point. If not, then you don’t know what you’re missing in life. Go ahead and pet a dog today! Paleo diet, Atkins diet, Keto diet – Which is the right plan for you to loose weight? Raise a toast to 2019, with these quirky Cocktails!